Each year, the Board of Directors of the Papio-Missouri River NRD reviews all NRD program and project activities and determines a budget necessary to carry out our mission. NRDs in Nebraska possess limited taxing authority, generally amounting to less than two percent of property taxes collected. 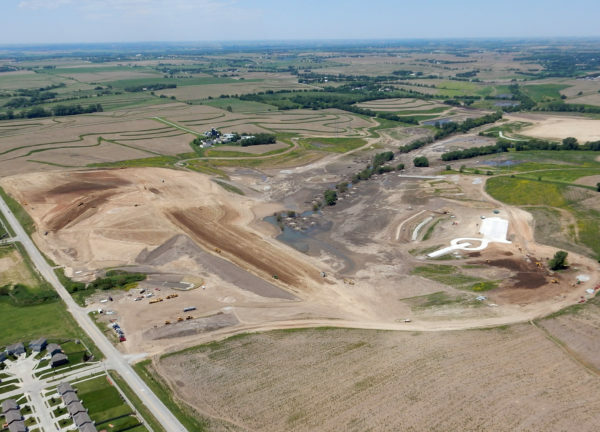 Director Bill Rhea asked that the Board add $142,322 to the Elk/Pigeon Creek Improvement Project Area in Dakota County to complete some major dredging work to assist in relieving flash flood dangers to local landowners. The Board voted to approve Rhea’s motion. “As a result of this increase in funding, the NRD is projected to spend over 3.3 million in subdistrict 1 which includes all of Washington and Dakota Counties plus portions of Burt, Thurston and Douglas Counties,” said John Winkler, NRD General Manager. This is over one million more in spending than property tax revenue from that area,” he said. The budget calls for an estimated $22.8 million in revenue from the NRD’s property tax levy. Total spending is estimated at $70.5 million. “One of the NRD’s strengths is our ability to leverage federal and state cost sharing on projects such as improvements to Missouri River levees south of Bellevue,” said Winkler. “These federal and state cost sharing efforts save local taxpayers millions of dollars,” he said. “We have a number of vital projects that need to be built for flood control throughout our six-county region, especially the levees that protect Offutt Air Force Base and the brave men and women of the Fighting 55th . We must also construct additional flood control reservoirs that will not only save lives and property but will ultimately lead to the removal of thousands of hard working families and businesses out of the federal flood plain saving them thousands of dollars a year,” Winkler said. “The District, like all government entities, is experiencing increased costs for construction services, maintenance materials, wages, and vendor costs. Maintenance of our aging flood control levees and other infrastructure is costly but absolutely necessary. Levees, dams and trails are no different than streets and bridges, as they age they need maintenance,” he said. For more information on our NRD’s budget please contact papadmin@papionrd.org or call 402-444-6222.